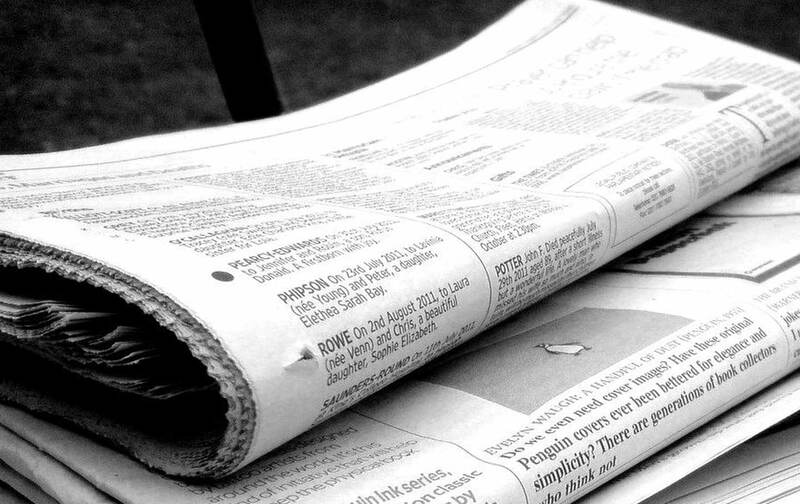 One newspaper’s crisis reveals print media’s dependence on undocumented immigrants. In our postmodern (or post-postmodern?) age, we are supposedly transcending the material certainties of the past. The virtual world of the Internet is replacing the “real,” material world, as theory asks us to question the very notion of reality. Yet that virtual world turns out to rely heavily on some distinctly old systems and realities, including the physical labor of those who produce, care for, and provide the goods and services for the post-industrial information economy. As it happens, this increasingly invisible, underground economy of muscles and sweat, blood and effort intersects in the most intimate ways with those who enjoy the benefits of the virtual world. Of course, our connection to that virtual world comes through physical devices, and each of them follows a commodity chain that begins with the mining of rare earth elements and ends at a toxic disposal or recycling site, usually somewhere in the Third World. Closer to home, too, the incontrovertible realities of our physical lives depend on labor—often that of undocumented immigrants—invisible but far from virtual, that makes apparently endless mundane daily routines possible. The same is true of the newspaper. The invisible links between two mutually incomprehensible worlds were revealed to many in the Boston area at the end of December when The Boston Globe, the city’s major newspaper, made what its executives apparently believed would be a minor change. They contracted out its subscriber delivery service to a new company. Isn’t newspaper delivery part of the old economy and so consigned to the dustbin of history by online news access? It turns out that a couple of hundred thousand people in the Boston area—and 56 percent of newspaper readers nationwide—still prefer to read their news in what some dismissively call the “dead-tree format.” In addition, despite major ad shrinkage, much of the revenue that allows newspapers to offer online content still comes overwhelmingly from in-print ads. The Globe presented the change as a clean, technical move, nothing more than a new contractor providing newspaper delivery for a lower cost. But like so many other invisible services that grease the wheels of daily life, that deceptively simple task is in fact provided thanks to grueling, exploited labor performed by some of society’s most marginalized workers, many of them immigrants and undocumented. In this respect, newspaper delivery shares characteristics with other forms of labor that link the privileged with the exploited. This is especially true in Boston, recently named the most unequal city in the country. Some of the most dangerous, insecure, and unpleasant jobs with the lowest pay and a general lack of benefits provide key goods and services for citizens who undoubtedly believe that they never interact with immigrants or receive any benefits from them. In fact, immigrant workers harvest, process, and prepare food; they provide home healthcare; they manicure hands and lawns. In other words, the system connects some of the most intimate aspects of our daily lives with workers whose very existence is then erased or demonized in the public sphere. And all of this happens because these workers are regularly rendered silent and invisible. To get that “dead-tree” item from the printer to your doorstep requires hundreds of human workers willing to leave home in the middle of the night, 365 days a year, regardless of the weather and the driving conditions (a serious issue in New England). They must drive to a distribution center to receive, fold, and package the papers, load them in their own car, and spend several hours racing through dark streets to finish their route before dawn. Although they pay for their own gas, insurance, and car maintenance, the low piece rate that these “independent contractors” receive per-paper-delivered barely allows them to reach the minimum wage. Many of them are immigrants. The Globe’s workers remained invisible to much of the public until December 28, when the paper replaced its long-time delivery contractor with Long Beach–based ACI Media Group. Droves of workers were laid off from the previous company when it lost its Globe contract, and ACI promised to cut costs for delivery by paying its newly hired workers less and making them work more under significantly worse conditions. As a result, ACI had trouble attracting workers, and those they did hire began to quit en masse when confronted with the degrading new working conditions. Thousands of papers went undelivered, day after day. When subscriber complaints flooded in, the media began to take notice. But most of the journalists covering the developing story preferred to look everywhere except at the workers themselves in trying to explain what happened. Subscribers may be aware of their paper carriers because they catch a glimpse of them or hear them in the early morning, or they may take seriously those envelopes that the carriers regularly leave, hoping for tips to bolster their meager income. Apparently, however, the Globe’s own reporters never thought to consider how the newspaper arrived at subscribers’ homes until the system went into crisis. As one of those reporters told the Times, “You’re following instructions about whether people want it directly on their porch or hidden somewhere, so you have to walk up to the house and drop it where they wanted it.” CNN Money explained that “first, the volunteers had to bag the papers,” and provided a photograph to prove that such a remarkable act had indeed happened. All of this coverage tacitly offered up the same message: Reporters had heroically crossed the lines of race, status, and class! How amazing! “Whatever they pay the delivery people…” Curiously, in the first two weeks of reporting on the crisis, no news source seemed able to find out how much the new company was actually paying. Columbia Journalism Review reported widespread speculation “that the labor shortage stems from ACI offering lower pay rates than other carriers. But ACI and Globe management have both denied that claim.” Apparently it never occurred to CJR reporter David Uberti to ask a worker! Press coverage made it clear that newspapers live in, and speak to, a world of privilege. It was assumed, for instance, that readers shared the utter ignorance of reporters when it came to the work (and the workers) involved in physically transporting newspapers to their doorsteps. They were, in other words, to enjoy unlimited access to “information” about the world that “matters”—and complete ignorance when it came to the mundane details that lay behind that access. At her blog, García recorded one of her colleagues saying, “Wow, I can’t believe something like this had to happen for us to learn about these workers and their conditions.” She was evidently one of the few reporters willing to talk with some of the actual workers that Sunday morning when the Globe staff mobilized to help with the delivery. Or perhaps she was one of the few able to. While 35 percent of Boston’s inhabitants speak a language other than English and the city is now “majority minority,” the paper’s journalists, unlike its delivery workers, remain overwhelmingly white and English speaking. That Tuesday, January 5, publisher John Henry offered a public apology—to subscribers, of course, not to the workers with the old carrier who, because of his actions, had lost their jobs, or the ones with the new carrier who had seen their working conditions and pay undermined. Henry did emphasize that a major reason for switching carriers was ACI’s promise of substantially cheaper service. Clearly, he felt it unnecessary to mention that these savings would be realized on the backs of the delivery workers. “Until Globe staffers embarked on an effort to save more than 20,000 subscribers from missing their Sunday paper,” Henry wrote, “we had underestimated what it would take to make this change.” He then offered a postmodern, post-material explanation for the problem: the new company’s routing software had proven insufficient for the job! On January 9, almost two weeks after the delivery crisis began, an exposé by reporter Michael Levenson finally brought the issue of “long hours, little pay, no vacation for delivery drivers” out of the shadows. He described the “grueling nocturnal marathon for low-income workers who toil almost invisibly on the edge of the economy.” The next day, when 15 workers delivered a letter of protest to the new carrier and walked off the job, reporter Dan Adams explained their demands and actually quoted Lynn Worker Center organizer Julio Ruiz. On January 13, the Globe published a lead editorial challenging management and bringing labor issues to the fore in a significant way. It recognized that “drivers get no vacation, and lack worker protections. That’s despite the fact that packaging papers into plastic bags, in the middle of the night, can be grueling work.” The editorial called on the state attorney general and federal authorities to investigate the delivery business, including implicitly the accusation leveled by workers that their employers misclassify them as “independent contractors” in order to avoid paying the wages or offering the labor protections they deserve. In other words, the organizing and protesting of the workers—and the experiences of the reporters as one-day delivery people—helped briefly open a window between the world of those who write and read the news and the world of the exploited labor that transports it from the former to the latter. Yet the window didn’t last long. A Globe postmortem by Mark Arsenault on January 16th returned to a purely technological explanation of the problem in summing up the three-week debacle. “The root of the delivery mayhem,” he wrote, “lies in something so simple that nobody gave it much thought until it was too late: sensible paper routes.” Once again, software and routing lay at the heart of the matter, while workers and working conditions conveniently vanished. Our infatuation with virtual modernity should not blind us to the exploitative systems of labor that undergird our world from our front doorsteps to distant parts of the planet. As the Globe’s delivery crisis made clear, the present system relies on ignorance and on the invisibility of the labor of mostly immigrant, often undocumented workers. The Globe’s delivery breakdown offered a brief look at just one way in which the worlds of business, journalism, and readers rely on such workers. And the local and national coverage revealed just how unusual it is for those who own, manage, write, and read newspapers to see this underside of our information economy. So when you next pick up your paper and read the latest blast by Donald Trump against undocumented immigrants, remember: The odds are you can only do so because an undocumented worker brought it to your doorstep.